There are only 29 more days until Christmas. Not sure which Crystal Allure original to buy? Well, no worries! I've taken the guess work out of your holiday shopping. Finding the perfect gift is now just a click away -check out the Holiday Gift Guide for the top 10 best picks, as well as, great gift ideas under $20 and $50. As an added bonus, enjoy FREE SHIPPING on all orders placed by December 15, 2006! Crystal Allure On Craving Ideas! I was just notified today that a few of my Crystal Allure Creations have been posted on Stephanie Q. 's Craving Ideas blog. "I love the Trista watch ;-)"
Smell The Holidays -On Your Hands! Okay this might be a little off-topic so to speak but I happened to try a sample of OPI's Avojuice Skin Quenchers in Gingerbread Juicie -and WOW!! I just LOVE the smell of this hand lotion! Avojuice Gingerbread Juicie treats your skin to a drink of smooth, rich moisturizers plus anti-aging Vitamin C, nourishing Avocado and healing Aloe extracts - with a scent of just-iced gingerbread. If you really love the smell of the holidays and gingerbread is one of them, you don't want to wait too long to go get yours. I have posted a ton of new creations for you! There are over 30 new stunning designs that include necklaces, bracelets, earrings, cell phone FOBs and watches. There is a little of something for everyone! Personally, I couldn't even begin to decide what new creation is my most favorite but I do lean towards two distinctive necklaces. 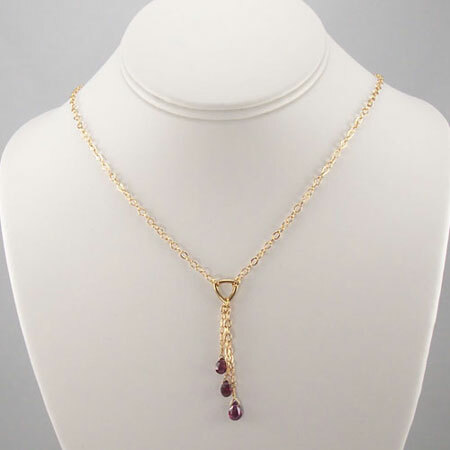 The first is the "Drops of Garnet" gemstone necklace. Designed in 14kt gold fill and accented by three garnet gemstones. If you love the sun-drenched warm colors of Indian summer, you will fall in love with this necklace! With the upcoming holiday season, add a little color to that little black dress with this necklace! This simple, yet extremely stunning necklace would pair perfectly with any upcoming holiday season outfit. 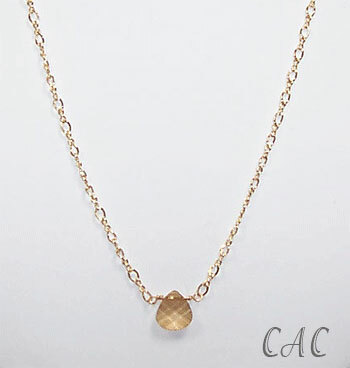 Designed with a golden Swarovski briolette crystal suspended on a delicate 14k Gold-Filled chain. If you are looking for something to go with just about any outfit this is your necklace! At the request of a customer, I created a cell phone charm FOB for her -and then I was hooked. I thought to myself, What a cute idea. Jewelry for your phone! I love it! Of course, I then realized you could really use these charms on just about anything. So, really, they aren't just cell phone charms -they can easily be attached for a purse charm, book bag charm, tote bag charm, zipper pull and more. The possibilities are endless! A fun zipper pull or purse charm for pet lovers! 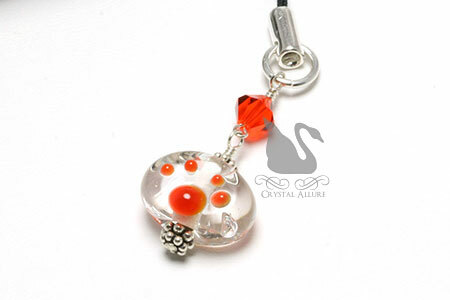 Design features an artisan Lampwork glass bead with orange paw print, orange hyacinth Swarovski Crystal, .925 Bali and sterling silver. Total length is 3". Orange is the nationally recognized color for raising awareness of animal protection and the prevention of animal abuse. Check out the rest of the purse charms and zipper pulls available, most will allow for custom color selection. Contact us with your request. Do you have any other suggestions on places or ways to attach these bead charms? I'd love to hear your ideas! Drop a comment below. Bring your Christmas gift list or your very own wish list! Some great new products will be displayed for the first time and you'll receive a generous 20% off website prices on all purchases! Because this event does not allow for a large amount of display space, if you don't see what you're looking for just let me know because I'll have a lot more available that I just cannot fit on the table! 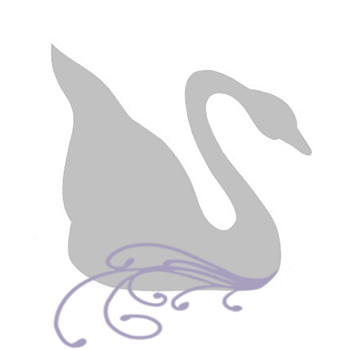 Crystal Allure Creations is proud to be listed at the Indie Collective. The Indie Collective is a showcase of some of the most talented and creative designers. The Indie Collective includes one of the largest listings of artists & artisans creating handcrafted goods, as well as craft suppliers, designer-centric blogs & many other facets of the creative arts community. Many of our designers also create limited edition or one-of-a-kind items, meaning you are not only shopping for gifts that are as unique as the designers themselves. You can also enjoy the extra attention and TLC that goes into the handcrafted wares our designers create. We believe in inspiration. We believe in taking chances. We believe in originality. And we believe in spreading the word about others who work 24-7, 365 days a year to bring their unique wares to an audience held captive by mass-produced, warehouse-assembled merchandise. First time ever! In paving the way for all the new designs that will be forthcoming (and have already arrived) I've found that I need to clear out some of my inventory. This is the first time Crystal Allure has ever had such a HUGE sale. Now is the perfect time to stock up on Crystal Allure originals while supplies last. There is limited stock on the items under the Web Specials -once they're gone -they're gone. These beautiful items also will make for great stocking stuffers!!! Don't miss out! Should you find an item that is not in your size, please email me first. It's possible I can accommodate your needs. And of course you don't want to miss taking a peek at What's New -get yourself an early holiday gift! Call me a "late bloomer", so to speak, but I've just discovered the wonders of having an RSS feed. This cool feature allows you to easily add an RSS feed of my blog to your personal homepages. Get the latest news about Crystal Allure Creations' Handmade Jewelry directly on your personal homepage! To get the RSS feed just scroll down and on the left side of my blog under "Site Stuff" there are buttons you can simply click on to add my blog to your page. Right now, I've got feeds for My Yahoo! Coming soon will be Google and MSN! Stay tuned! November 5th - 11th, 2006 is National Animal Shelter Appreciation Week and Crystal Allure will be supporting its local animal shelter, Rochester Animal Services (RAS). You only have to visit their website and read their newsletters to learn of the staggering numbers of homeless and surrendered pets that deserve a loving, caring and responsible home. RAS has been working hard to raise the funds necessary for their operations and such important programs as the Low Income Spay/Neuter program. I wholeheartedly agree with them that there is nothing better a responsible pet owner can do than to spay or neuter their pet!!! My husband and I also adopted two of our little fur-kids from this shelter as well -and had it not been for their services and programs our lives may never have been graced with our very much loved cats, Tookie (aka Cookie Toe) and Sweetie Pie (aka Smokey). Even if you don't live in Rochester, you can still support and appreciate your local shelter during this important week. For those living in and near Rochester, stop on down!! Come see all the dazzling jewelry and accessories Crystal Allure has to offer. I will be donating 10% of all pre-tax sales to RAS and I will also provide a 10% coupon to each adopter for a future Crystal Allure purchase! Also available will be pet related awareness products. See you there! In celebration of National Animal Shelter Appreciation Week, Animal Services is having an open house on Sunday November 5, 2006 from 10am-3pm. Come tour the shelter, visit the animals, find out how to get involved as a volunteer, learn about pet grooming, housetraining, obedience, and attend seminars on exotic reptiles or service dogs. There will be a K9 demonstration at 1pm in neighboring Brown Square Park. Bring your pet for a free nail clipping or to have a microchip ID implanted ($30). Learn more about our spay-neuter programs and take a peak in on the veterinary team in action. This annual event is a great opportunity to highlight the valuable work that Animal Services does.